Getting the latest, up-to-the-second, information on your favorite corps should be a lot easier this year. In today's Field Pass, DCI's Dan Potter explores the explosion of social networking media and how Drum Corps International and its member corps are using it. 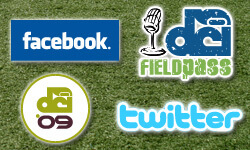 Join the DCI Facebook Fan Page.